Harold Klemp confronts a world of limitations and offers startling possibilities. His wisdom and heart-opening stories of everyday people having extraordinary experiences tell of a secret truth at work in your lifethere is divine purpose and meaning to every experience you have. Every single moment of your life is the handiwork of a higher cause. And you can know what it is. Hint: God's love is the key, and spiritual freedom is the goal. If you want true freedom from the limitations upon your heart, mind, and spirit, here's a chance to earn it. Be open to the inner voice of Soul, your true self, as you explore the revelations given within these pages. Pay attention to your dreams. Invite the wonder of the great unknown into your being. Award-winning author, teacher, and spiritual guide Sri Harold Klemp helps seekers reach their full potential. He is the Mahanta, the Living ECK Master and spiritual leader of Eckankar, the Path of Spiritual Freedom. He is the latest in a long line of spiritual Adepts who have served throughout history in every culture of the world. Sri Harold teaches creative spiritual practices that enable anyone to achieve life mastery and gain inner peace and contentment. His messages are relevant to today's spiritual needs and resonate with every generation. Sri Harold's body of work includes more than one hundred books, which have been translated into eighteen languages and won multiple awards. The miraculous, true-life stories he shares lift the veil between heaven and earth. In his groundbreaking memoir, "Autobiography of a Modern Prophet," he reveals secrets to spiritual success gleaned from his personal journey into the heart of God. Find your own path to true happiness, wisdom, and love in Sri Harold Klemp's inspired writings. "The latest volume guides readers through the faith's teachings and the ways they can enrich spiritual connections with themselves and the world. . . .The powerful optimism of these teachings should resonate with all readers, even those unacquainted with ECK. . . . An intriguing book explores practices and perspectives using storytelling as the main device." —"Kirkus Reviews"
"An inspiring book of profound wisdom, sharp insights, and practical guidance that will steer you well on the spiritual path. 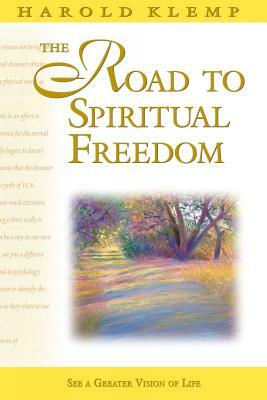 'The Road to Spiritual Freedom' is an exceptional resource that you'll want to consult time and time again, gaining new perspectives with each reading." —Rosemary Ellen Guiley, author, "Dreamwork for Visionary Living"